A native of Buffalo, New York, Dr. Louis A. Povinelli received a Bachelor of Science degree from the University of Detroit. He then pursued graduate studies at the University of Kentucky earning a Master of Science degree in mechanical engineering in 1956. After earning a Ph.D. from Northwestern University in 1959, he was selected as a FIAT-Fulbright postdoctoral fellow at the Polytechnic Institute of Turin, Italy. Dr. Povinelli is recognized internationally as one of the premier propulsion authorities in the world. His professional accomplishments have contributed substantially to the advancement of aeronautics and astronautics in several key areas: Rocket propulsion, scramjet propulsion, and air breathing engine performance. His interest in propulsion began in 1951 while serving as a co-op engineer at the Bell Aircraft Corporation where he conducted research on the X-1 aircraft and liquid rocket engines for the Shrike Missile. In 1960 he joined NASA, as an aeronautical research engineer for the Rocket Combustion Section of the Chemistry and Energy Conversion Division. He has remained at NASA since that time and has served in various research and management positions. He is currently Chief of the Internal Fluid Mechanics Division at NASA, Lewis Research Center where he leads a division of 125 scientists conducting experimental and computational research on air breathing propulsion programs. He is best known for his research activities on solid and liquid rocket combustion instability, scramjet fuel injection and propulsion, inlet and nozzle aerodynamics, turbine aerodynamics, computational fluid dynamics (CFD) validation and propulsion system simulation. His current research efforts are focused on NASA’s Aero and Space Programs. Dr. Povinelli’s research contributions have resulted in over 100 publications and presentations, and two U.S. patents. He was responsible for establishing the Institute for Computational Mechanics in Propulsion which hosts international CFD experts as visiting researchers for one year at NASA Lewis. Throughout his distinguished career, Dr. Povinelli has received numerous awards and honors for his professional achievements. He is a Fellow of the American Institute Aeronautics and Astronautics (AIAA) and of the American Society of Mechanical Engineers. He is also the recipient of the NASA Exceptional Scientific Achievement Medal; the AIAA Air Breathing Propulsion Medal; the ISABE Wu Memorial Lecturer Award; five NASA Group Achievement Awards; The Collier Trophy Team Award; the NASP Zara Award and the NASA Space Act Monetary Award for Scientific and Technical Innovation. Dr. Povinelli is active in a number professional societies and their related activities. 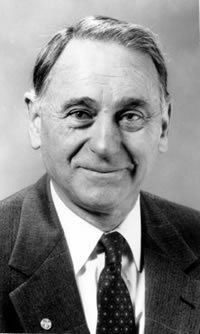 He has served as the chairman of the ASME Aerospace Division; chair of the AIAA Propellants and Combustion Committee; member of the AIAA Fluid Dynamics Committee; member of the AIAA advisory board for the Journal of Propulsion and Power; chair of the Northern Ohio Section of AIAA, organized and chaired sessions for numerous national meetings and Editor of the International Journal of CFD. Dr. Povinelli has been active in the NATO/AGARD Propulsion and Energetics Panel as a Symposium Technical Evaluator and a consultant on hypersonics and meeting organizer to ONERA. In addition, he as presented papers on high speedinlets, turbomachinery and hypersonics at PEP Symposia, as well as CFD Validation at the Fluid Dynamics Panel Symposium. He has completed his contribution as a member/co-author of Working Group 26 on CFD Validation. He has also served as a member of the Air Force Independent Review Team on the F-119 and JSF engines. A consultant to many government organizations and universities, he served at the Office of Science and Technology (Executive Office of the President), the Air Force Scientific Advisory Board; the University of Michigan’s Aeronautical Engineering Advisory Board and the Cleveland State University College of Engineering Advisory Council. Dr. Povinelli and his wife, Dr. Jean Meredith Povinelli, are the parents of seven children, Maryanne, Michael, Kathleen, Maureen, Karen, Laura, and Michelle.